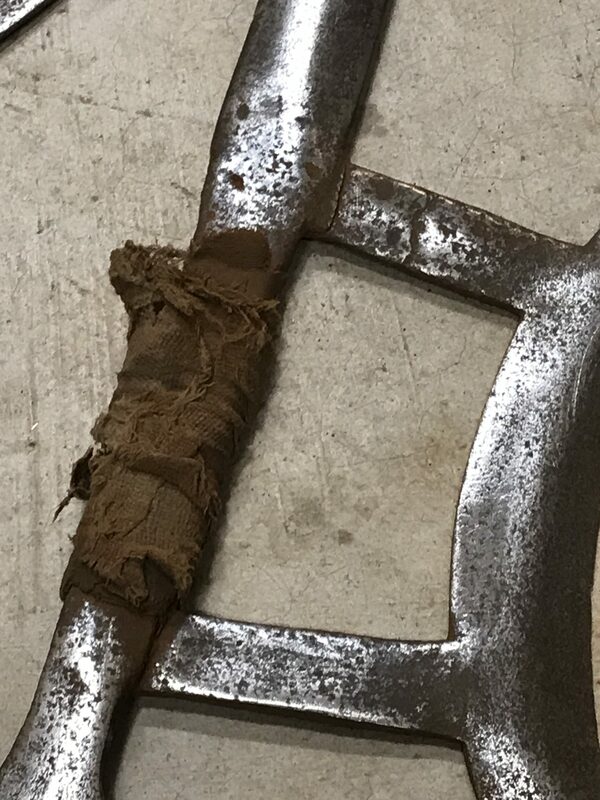 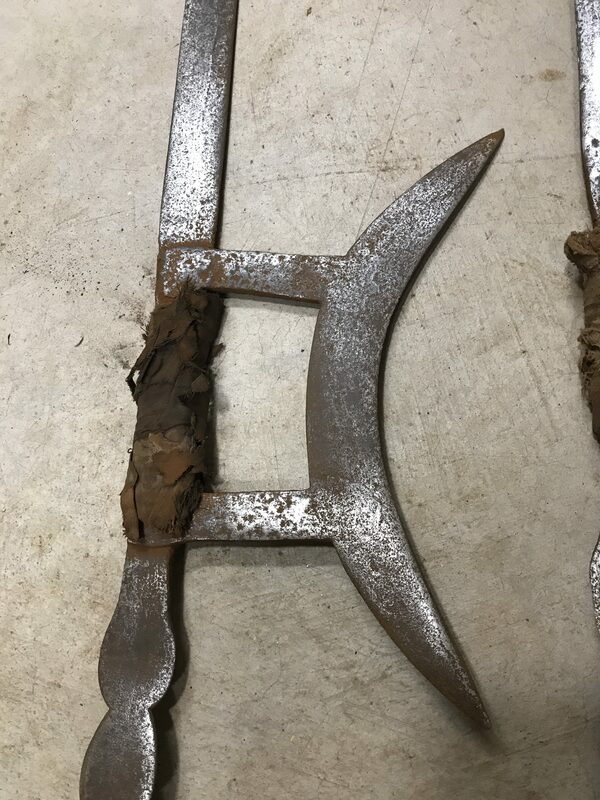 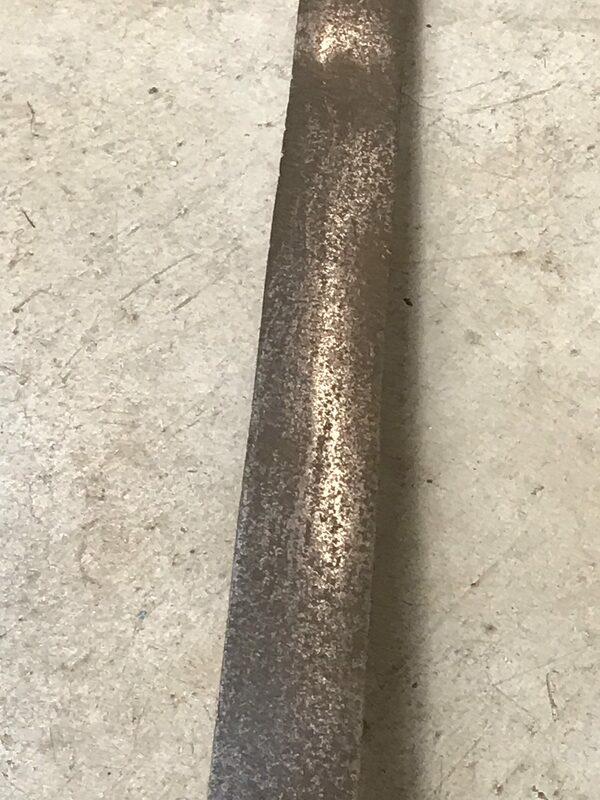 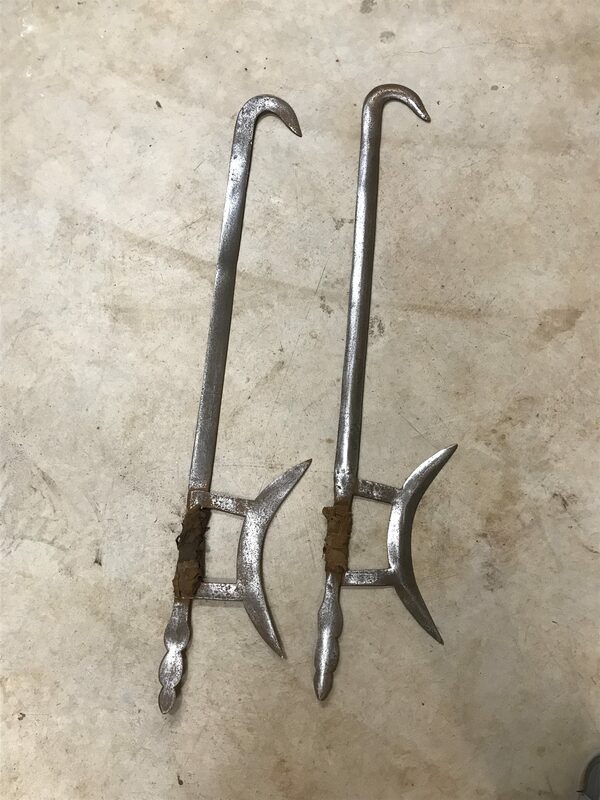 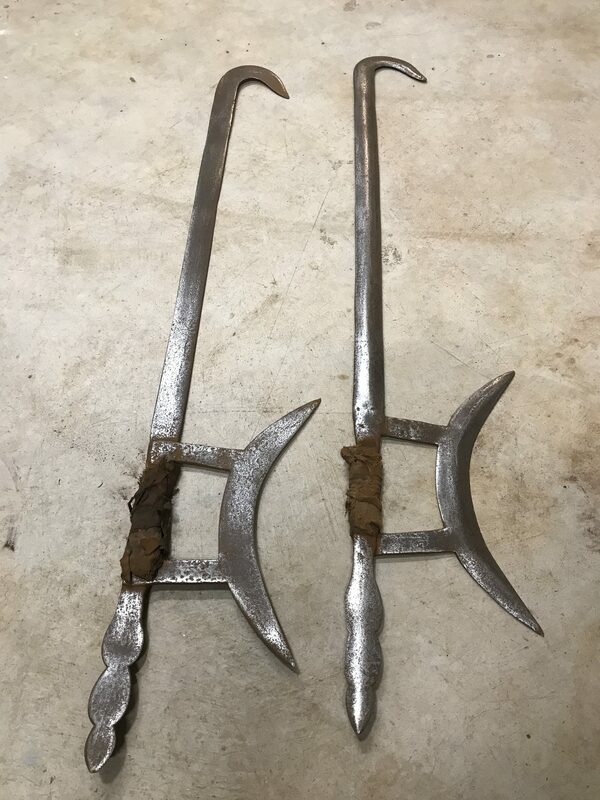 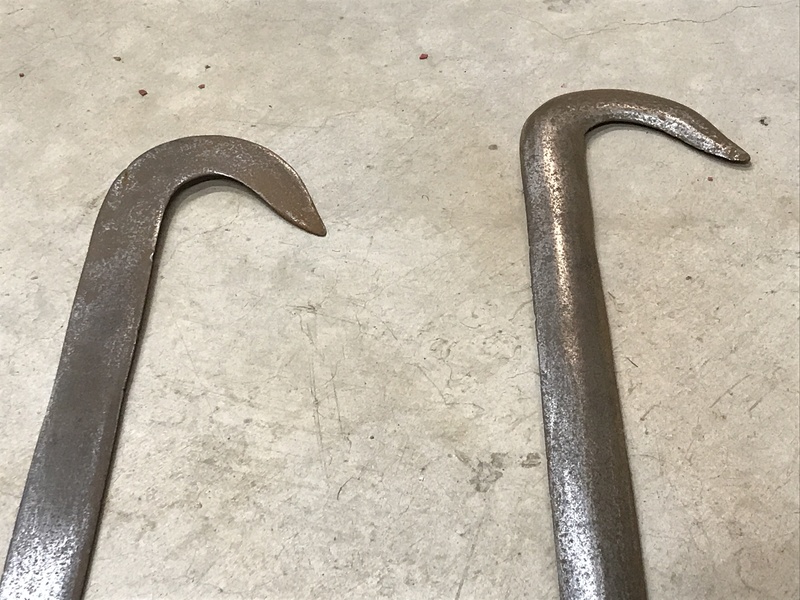 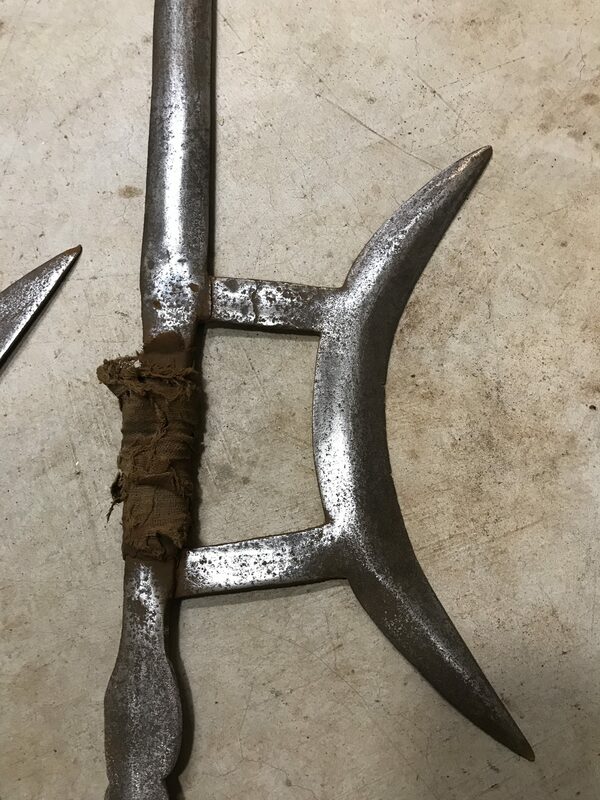 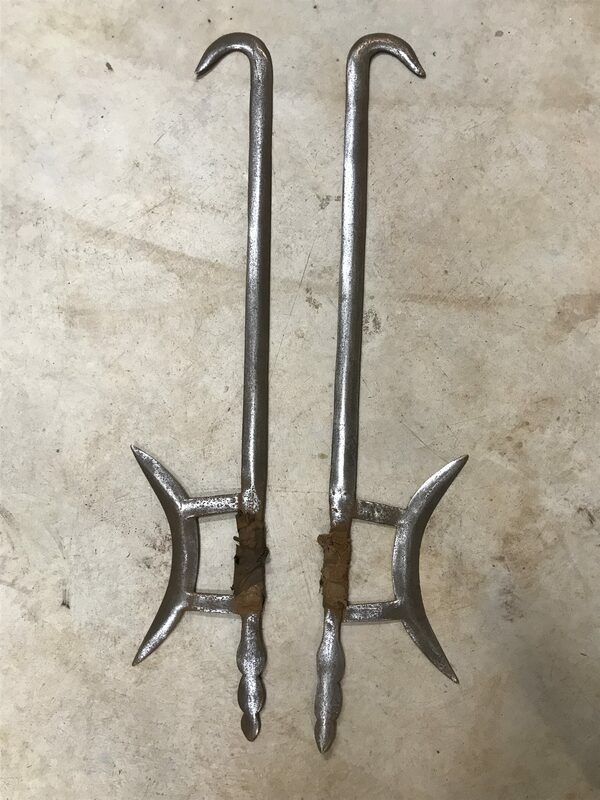 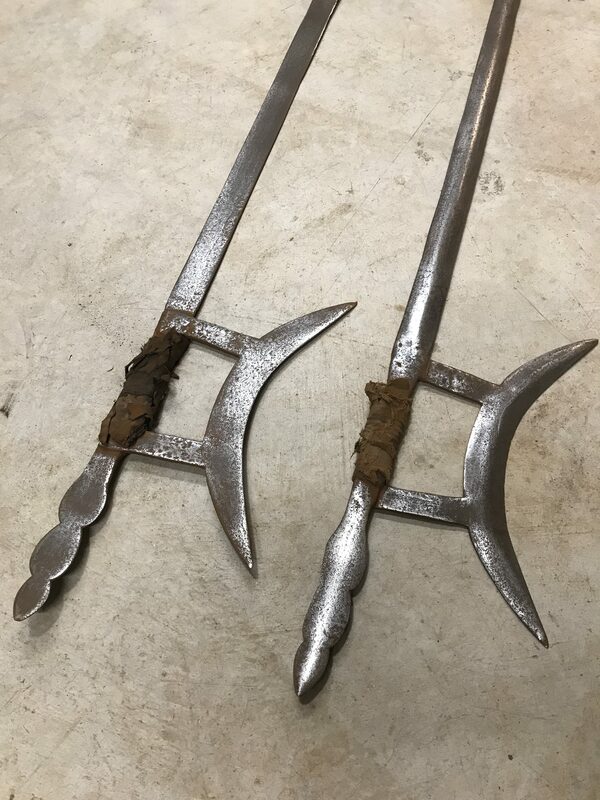 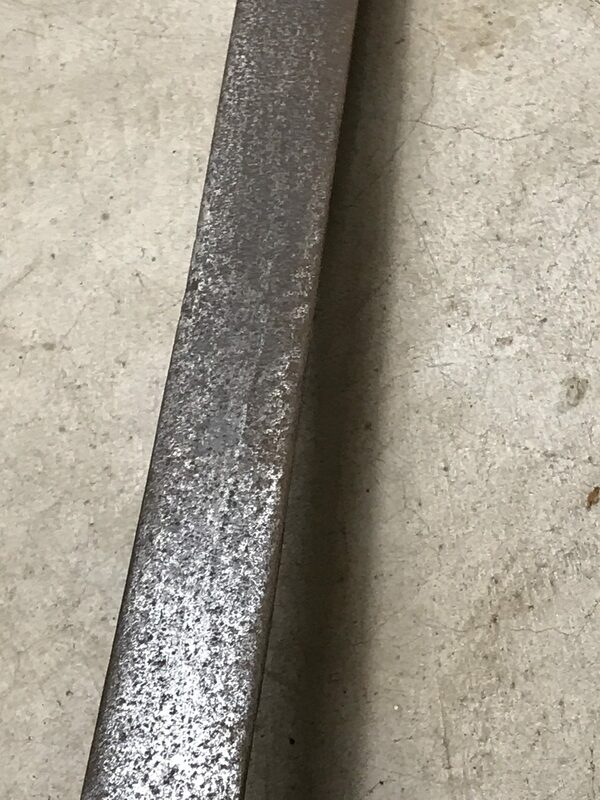 These hook swords (Gouzi) were very hard to find many years back, and now nearly impossible I think. 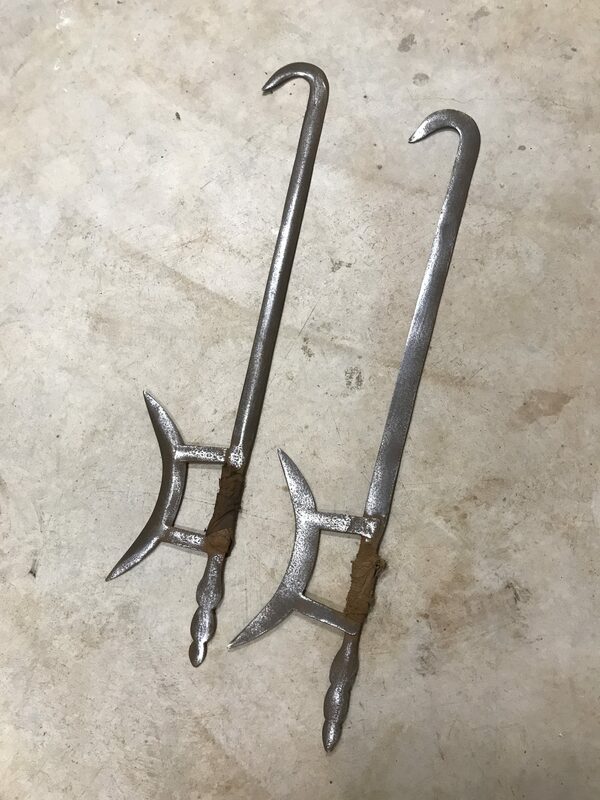 These have a nice contour and weight, nicely crafted. 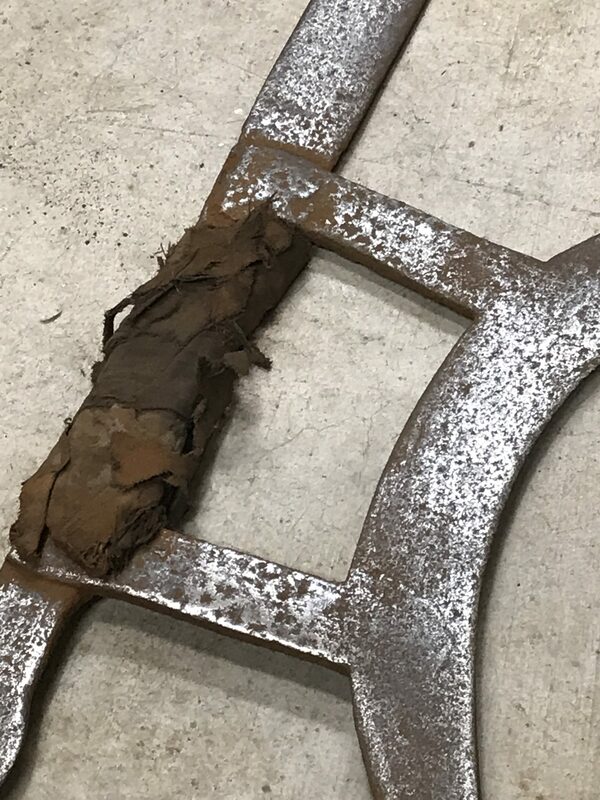 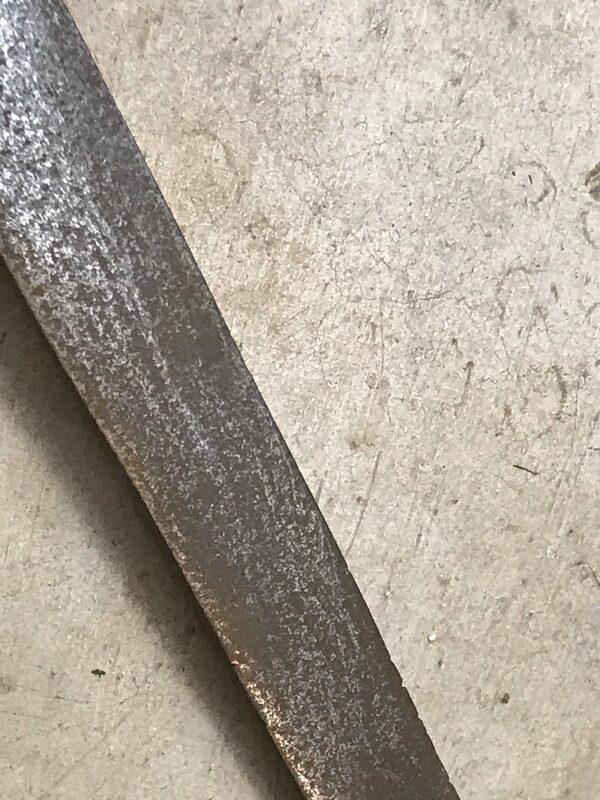 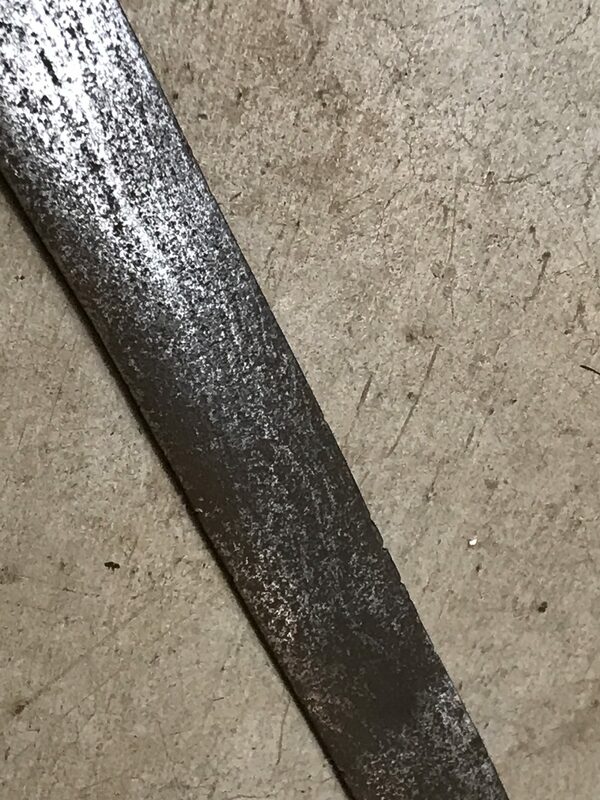 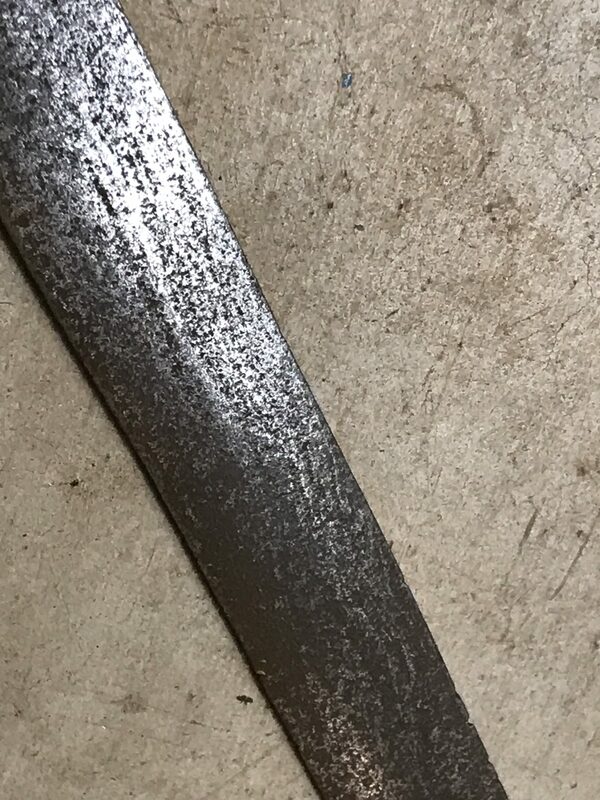 They need restoration, but with a little cleanup a nice pattern is revealed in the steel.